We’ll be doing profiles on each of the free agents in the upcoming days and give you our take on whether they return or move on. One of the players facing free agency is linebacker Barkevious Mingo. The Patriots landed the uber-athletic Mingo for a 5th round draft pick during the end of August in 2016. Mingo was a former first round draft pick (#6 overall) from the 2013 NFL Draft out of LSU. Mingo was the fifth former first round pick that the Patriots acquired during the 2016 off-season. Mingo appeared to be well on his way to being a star performer in his first season. Despite being slowed by a chest injury, he logged five sacks as a rookie with the Browns. That was followed by only two in 2014 and none in 2015. With him on the outs with Cleveland, Bill Belichick swung a trade with the Browns for a 5th round pick. It seemed to immediately bear fruit; in his first action in a preseason game against the Giants, Mingo was all over the field, showcasing the athleticism he’s always been known for. But his issue has always been weight. He can’t keep weight on his frame and as a result, he never carved out a role on the Patriots defense. He did become a good Special Teams’ player and he performed well there all season. Now with a Super Bowl ring in hand, he’ll head out to free agency. Mingo and Dont’a Hightower are the only linebackers on the Patriots testing free agency this season. Why Mingo Will Return: The Patriots and Belichick have always loved having athletic linebackers on their special teams’ units, guys like Larry Izzo, Matt Chatham, Chris White, and Tracy White immediately come to mind. They can probably land Mingo for a very modest salary and bring him back. There won’t be a ton of teams breaking down his door and looking to throw big money at his feet. So, if Belichick want him to return for his STs ability, the opportunity will be there. Why Mingo Won’t Return: There was hope that Belichick could find a role for Mingo as a sub-rusher in the Patriots defense. Unfortunately, despite his early flash, that never materialized. His lanky frame, just doesn’t hold up well enough for full-time defensive play. There’s little belief that this will change if Mingo is brought back. While he performed well on Special Teams, the Patriots can replace his production there if he goes. Bottom Line: The Patriots took a calculated but low-risk gamble on Mingo last year. For a 5th round draft pick, it was well worth it. But this was one of those moves that just didn’t work out. Mingo appeared to be a good teammate and relish the role he got, but there was hope that it would be much more. His physical skills and athleticism will no doubt attract a team that will want to roll the dice, much like Belichick did a year ago, to see if they can find a role for Mingo in their pass rush department. And they’ll no doubt toss more money his way than the Patriots will this spring. This entry was posted in 2017 Free Agency, Patriots Commentary and tagged 2016 NFL Season, 2016 Patriots Roster, 2016 Patriots season, 2017 free agency, 2017 Patriots free agents, Barkevious Mingo, Bill Belichick, Dont'a Hightower, Elandon Roberts, Kyle Van Noy, New England Patriots, NFL, Patriots, Patriots edge rushers, Patriots linebackers, Rob Ninkovich, Shea McClellin on February 25, 2017 by Steve Balestrieri. We’ll be doing profiles on each of the free agents in the upcoming days and give you our take on whether they return or move on. 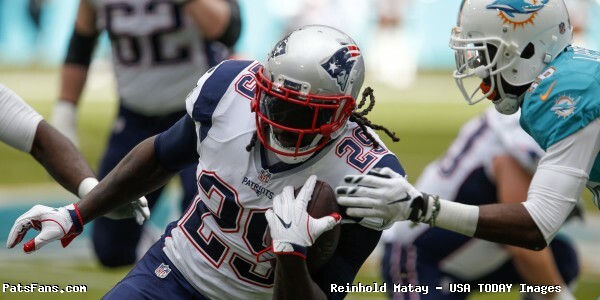 One of the players facing free agency is running back LaGarrette Blount. The Patriots got a career season from Blount in 2016. He was the main back in the running game and logged 299 carries for 1161 yards and a league-best 18 touchdowns this season, all career highs. His touchdown total broke Curtis Martin’s franchise record and he surpassed his three previous Patriots seasons combined of 16 TDs with a tremendous 2016. However, Blount’s production tailed off down the stretch and in the playoffs, he managed only 109 yards and one touchdown in three games. Blount is now at age 30 when many of the big backs begin to show the wear and tear on their bodies. Blount for a big man (6’0, 250 pounds), isn’t a typical short yardage runner. He’s patient and takes his time, looking for an opening and then once he gets to the second level, accelerates, and becomes very hard to bring down. That’s why he needs a lot of work in-game to really see his effectiveness come thru. He may get several carries for little or negative yardage but as the game carries on into the second half, he’ll wear down a defense and provide some big gains. With him being a free agent, the Patriots really don’t have another big back that can carry the load in the running game. James White and Dion Lewis are primarily effective in the passing game with the occasional runs during the game. Ditto for rookie RB D.J. Foster. Brandon Bolden only contributed on STs during the year. Why Blount Will Return: The Patriots could easily bring Blount back to Foxboro in 2016 because there probably won’t be much interest in him elsewhere. He hasn’t shown that he can be successful anywhere but in New England. He could be brought back with an incentive laden veteran minimum type of deal. Bill Belichick has always liked Blount and he seems very happy to be here in New England. As long as the Patriots are interested in keeping him, I don’t see Blount looking to move on to anywhere else. Blount knows the offense, has no issues with being part of a rotation at the running back position and always gives the maximum effort. He seems to be well-liked and admired in the Patriots locker room. Why Blount Won’t Return: There are always concerns and justifiable ones when a big running back hits the 30-year old mark. Blount had the most carries in his career in 2016 and he definitely seemed to wear down as the season progressed especially down the stretch. The Patriots could use an influx of youth at the big back position. There are several in the draft or free agency that could be had that would allow them to keep defenses honest and keep the rotation of the backs going. Unlike many of the other free agents, money won’t be an issue with Blount. Bottom Line: The Patriots could use an upgrade at the big running back position. Blount has hit 30 and while he was tremendously productive inside the red zone in 2016, his playoff performances weren’t what you’d expect from him. I’d look for them to draft a mid-round prospect replacement for him this spring. However, because he’ll attract little attention on the free agency market, it won’t be surprising in the least to see Blount back in a Patriots uniform in 2017 on a veteran minimum deal with incentives laden in. Blount has made it clear that he wants to remain here. So, the way we see it, the chances of him returning this year are better than 50/50. This entry was posted in 2017 Free Agency, Patriots Commentary and tagged 2016 NFL Season, 2016 Patriots Roster, 2016 Patriots season, 2017 NFL Free Agency, 2017 Patriots free agents, Bill Belichick, D.J. Foster, Dion Lewis, James White, LaGarrette Blount, Patriots running backs, Rob Gronkowski, Tom Brady on February 24, 2017 by Steve Balestrieri. We’ll be doing profiles on each of the free agents in the upcoming days and give you our take on whether they return or move on. One of the players facing free agency is part-time starter defensive end, Chris Long. 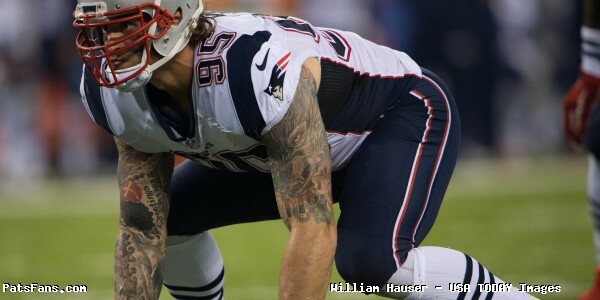 The Patriots signed Chris Long to a modest contract ($2.375 million) in 2016 just after trading Chandler Jones to the Arizona Cardinals. Long had been a standout player for the Rams for eight years but had suffered injuries in back-to-back seasons and was thought to be on the downside of his career. He drew interest from other teams but opted for New England. And for the first time in his NFL career, he played for a winner. Long played in 16 games with seven starts, 35 combined tackles, four sacks, three passes defended and one forced fumble. His playing time was cut back in the Super Bowl and he appeared in just 31 percent of the snaps. He did, however, make an impact in several of his snaps in Houston. After the big win, he appeared on television to talk about the Super Bowl win and what the atmosphere was like in the Patriots locker room at halftime. “But if it wasn’t for guys like Duron that had no doubt, you know, I’m not used to this winning thing,” Long added having played for some dreadful Rams teams in the past. Long played a valuable role, providing a veteran presence along the defensive line. He totally bought into the team first concept, doing all the little things that Bill Belichick preaches. Although he’s known as an edge rusher, he provided solid run support, setting the edge in the running game and would drop into the throwing lanes when Matt Patricia would send blitzes up the A-gaps. Why Long Will Return: The Patriots and Long were a good fit in 2016 and there is no reason to think that they couldn’t bring him back for a modest pay raise. Bill Belichick compared Long to Corey Dillion who had played on losing teams before coming to New England for a Super Bowl run in 2004. Long appeared to love it here in New England and was immediately welcomed by his new teammates. The respect was a two-way street and he assimilated into the locker room seamlessly. He wore a Julian Edelman mask in the locker room one day and cracked up the beat writers and Edelman with a spot-on imitation. That shows the comfort level he immediately had within the confines of the locker room. And that isn’t always the case. Long would provide a veteran’s presence and savvy with the defense, especially with Jabaal Sheard a free agent. The team could still opt to bring in another free agent or draft a younger player and be part of the rotation with Trey Flowers. Why Long Won’t Return: There are concerns that Long is closer to the end of his career than the beginning. And that would be correct. How much he has left in the tank is the question that the Patriots coaches have to ask at this point. Money shouldn’t be the driving issue here. Although a team could come forth and drop some big cash on his doorstep (Detroit? ), I don’t see that happening. The ball is in the Patriots court, was his snap count in the Super Bowl just an exercise in game planning, or did they think his output wouldn’t match the other players. Regardless, he made the most of his opportunities. But Belichick and Patricia may decide to go younger (Long turns 32 March 28) at the position and re-tool around Flowers and possibly Sheard, if he comes back. Bottom Line: The Patriots have some interesting decisions to make this spring. With Long and Sheard free agents, and Rob Ninkovich, seemingly having lost a half-step last season, they’ll need to address the defensive end position. However, if they opt to let Sheard walk for big money which he’ll probably see in free agency, it would make sense to have a proven veteran, something Bill Belichick has always liked on his teams, to help solidify things and help in the rotation. Long has proven that he’s bought into the team-first mentality and will do whatever it takes to ensure the team’s success. He shouldn’t break the bank and the team could lock him up for another two years at a pretty, modest sum. Therefore I think the chances are better than 50/50 that Long will be in a Patriots uniform in 2017. This entry was posted in 2017 Free Agency, Patriots Commentary and tagged 2016 NFL Season, 2016 Patriots Roster, 2016 Patriots season, 2017 NFL Free Agency, 2017 Patriots free agents, Bill Belichick, Chandler Jones, Chris Long, Dont'a Hightower, Jabaal Sheard, New England Patriots, NFL, Patriots, Patriots edge rushers, Rob Ninkovich, Trey Flowers on February 23, 2017 by Steve Balestrieri. We’ll be doing profiles on each of the free agents in the upcoming days and give you our take on whether they return or move on. One of the players that is an important role player is safety, Duron Harmon. The Patriots’ 26-year old safety from Rutgers has been a valuable member of the secondary. Harmon is kind of a closer for the team. 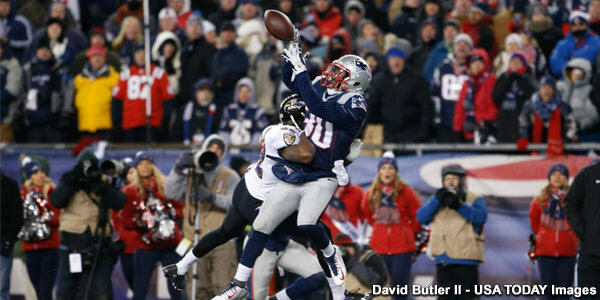 Time and again, he’s shown the knack for making the big interception to close out games as the Patriots third safety. He had an interception against the Houston Texans in the Divisional Round and nearly had another in the Super Bowl against Matt Ryan. It was a play he normally comes down with. Everyone remembers his interception against Joe Flacco and the Ravens in the 2014 Divisional Round that sealed the Patriots comeback win. It is typical of the play that we’ve come to expect from Harmon in big situations. When the team goes to their “Big Nickel” look with three safeties, Harmon comes in and plays the deep centerfield role, something he’s excelled in. He’s almost a starter, logging about 49 percent of the defensive snaps in 2016. The Patriots drafted Harmon in the 3rd Round, 91st overall in the 2013 NFL Draft. His role has steadily evolved since then and he’s now a trusted integral part of the defense. Harmon finished his fourth year with a second Super Bowl ring, and he’s in line to get a nice pay increase. While the Patriots would surely be willing to increase his pay, the question now becomes, will another swoop in and wow Harmon with a big money contract and a chance to be a starter? Why Harmon Will Return: The Patriots and Bill Belichick know that you can never have enough defensive backs, especially ones with the big play ability that Harmon has. He’s proven that the big moments of games aren’t too big for him, he has a knack for always being in the right place at the right time. He knows the system, the coaches, and his fellow players. He’s a de facto starter with Devin McCourty and Pat Chung, the three work extremely well together. He’s the insurance for McCourty in the case of injury, something the Patriots no doubt recognize. He shouldn’t break the bank to re-sign and given a nice pay raise, he could continue in his role with the team and provide them with solid play on the back end and insurance for McCourty. There is the subject of winning also. Harmon has two Super Bowl Rings in just four years. In his other two years, the Patriots went to the conference championship game. By now, he’s met several other players who’ve come to New England after toiling for years without a sniff of the playoffs. That is a draw that can’t be discounted. Why Harmon Won’t Return: There is a very real possibility that another team will recognize Harmon’s talents for what they are and pay him much more than the Patriots would. While the money is one thing, the opportunity to go from being a de facto starter to becoming a starter and playing in 90 percent + of the reps is another. While he’s not a household name with casual fans around the NFL, the scouts and GMs of opposing teams know his worth. And one of them may feel he’s ready to assume the mantle of leadership that McCourty enjoys here as the centerfielder and leader of the secondary. Money is always an issue in free agency. One of the reasons the Patriots have enjoyed such success under Bill Belichick is because they won’t fall into the trap of overpaying for players, either their own or others who have hit the market. If another team offers Harmon more than the Pats deem his value is, then he’ll be gone. Bottom Line: The Patriots have an eclectic group of safeties. The three ostensible starters, McCourty, Chung, and Harmon all have varying skill sets that makes them click so well. McCourty is the centerfielder who can move down into the box and cover the slot receivers like a cornerback. Chung is an in-the-box safety who is outstanding in run support and can cover in the short areas of the field. He plays the role of a linebacker in the Patriots big nickel formations. Harmon doesn’t have the versatility of McCourty and while not a detriment in run support, that isn’t a position of strength. But he’s a fantastic deep cover safety with excellent ball skills and anticipation. The other three safeties on the roster, Nate Ebner, Brandon King and Jordan Richards are mainly special teams’ mavens. Together the three make a fantastic trio that locks down the deep part of the field and provides good support underneath. When was the last time, you saw the safeties get burned on a deep ball? That’s why the Patriots should make a concerted effort to retain Harmon preferably before the March 9th, 4:00 p.m. deadline when free agency begins. They probably can convince him to stay put with a nice increase in pay. An added incentive is always the chance to play deep into the playoffs every year, something that can’t be discounted. However, the chances of that happening are going to be low. There should be a decent amount of interest for Harmon’s services once free agency begins in earnest. Therefore, the chances of his returning are only about 50-50 in a Patriots uniform in 2017. This entry was posted in 2017 Free Agency, Patriots Commentary and tagged 2016 NFL Season, 2016 Patriots Roster, 2016 Patriots season, 2017 free agency, 2017 Patriots free agents, 2017 Super Bowl, Bill Belichick, Brandon King, Devin McCourty, Duron Harmon, Jordan Richards, Matt Patricia, Nate Ebner, New England Patriots, NFL, Pat Chung, Patriots, Patriots safeties on February 21, 2017 by Steve Balestrieri. The Patriots will enter the beginning of the 2017 league season with several important decisions to make in regards to free agency. While the team has the third most salary cap room in the NFL this season, they have a slew of free agents including several who are either starters or important role players. We’ll be doing profiles on each of the free agents in the upcoming days and give you our take on whether they return or move on. One of the starters and in our opinion, the most imperative to re-sign is linebacker Dont’a Hightower. The Patriots unquestioned best linebacker and arguably their most indispensable player on the front seven is Hightower. He makes the calls for the defense, is a Pro Bowl and 2nd team All-Pro for the first time this season and is a big, physical, down-hill style player who produces when the chips are on the line. Flashback to Super Bowl XLIX, right after the crazy catch by Jermaine Kearse down the right sideline, giving the Seahawks the ball on the Patriots five-yard line. 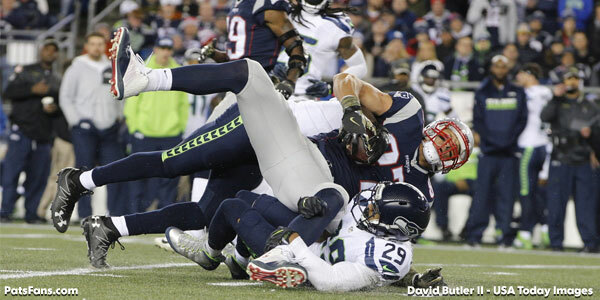 Hightower stops Marshawn Lynch at the one setting up Malcolm Butler’s game saving interception. Eight days ago, in Super Bowl LI, the Patriots have kicked a field goal to cut Atlanta’s lead to 28-12 late in the fourth quarter. They need two scores and a pair of two-point conversions to tie the game. But first, they must stop the Falcons with a three and out and get the ball back. 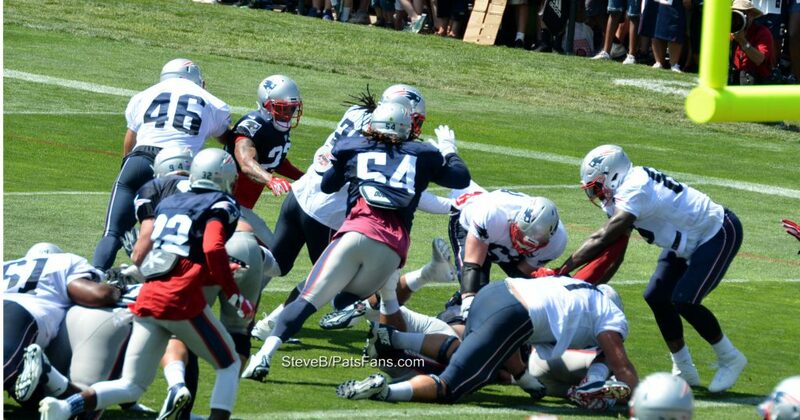 Hightower blitzes off the edge on 3rd down and a short two. Devonta Freeman misses his block and Hightower strip sacks Matt Ryan. Tom Brady and the offense quickly capitalize on the great field position and the Patriots stage the biggest comeback in Super Bowl history by scoring 31 unanswered points to win in overtime. With Hightower’s strip sack, it probably doesn’t happen. Why Hightower Will Return: Hightower is big, 6’3, 265-pounds and is versatile, something Bill Belichick loves in his players. He’s a downhill, run-stuffing sledgehammer in the running game. But he’s very effective at blitzing when his number is called and can either come off the edge or up one of the A-gaps. And for a man of his size, he’s good in coverage. He calls the defenses and was named a team captain by his peers. 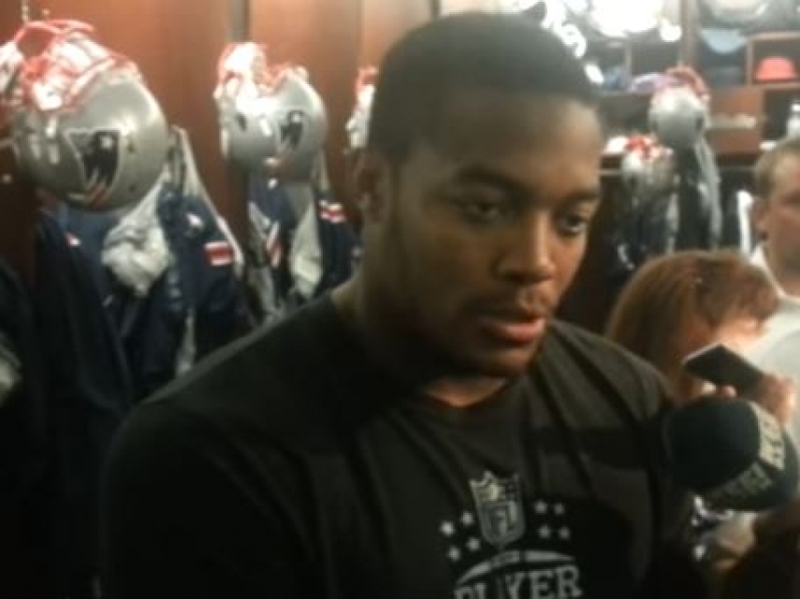 His respect in the locker room is evident and he was given the all-important locker of former great Willie McGinest. That’s in the spot where he can keep an eye on things and players as they come and go during the day. That location is no small matter to the Patriots players and coaches. The sure tackling Hightower has no peer in the Patriots linebacking corps. His size and speed are a unique part of the makeup of the team. 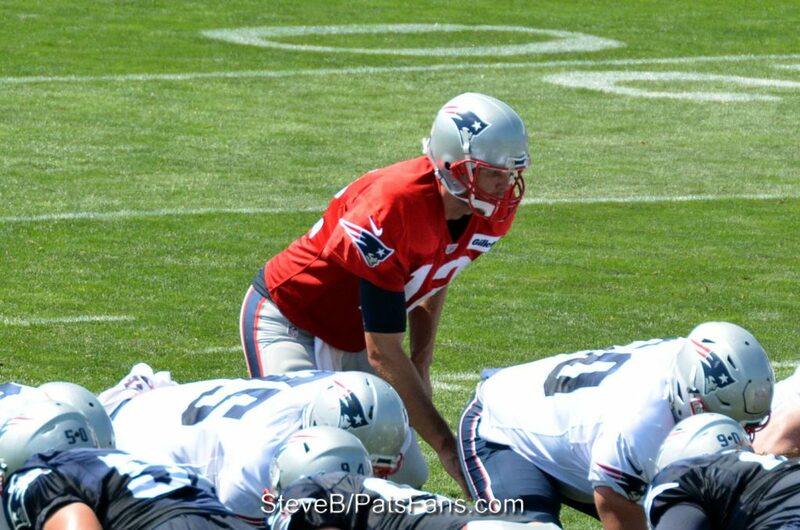 He can cover well for a man of his size and the Patriots really have no one that could replace him on the roster. He’s the glue that holds the defense together and sets the tone for the others to follow. Why Hightower Won’t Return: Money would be the sticking point. Reportedly the Patriots offered him in the neighborhood of $10 million during the season and he turned it down. His former teammate, Jamie Collins just signed a four-year $50-million-dollar deal with Cleveland that may be a bit rich for the Patriots to take on. Another reason that the Patriots may balk is injuries. Because of his style of play, he’s been pretty nicked up. Hightower missed three games this season and hasn’t played a full season since the 2013 season. He seems intent on testing the market and seeing what his worth is. He plays in both the middle but is particularly effective as the SAM. Bottom Line: The Patriots know the value of having Hightower in the lineup. His contributions were greatly responsible for the last two Super Bowl wins. He gets the respect on the defense that players like Willie McGinest and Vince Wilfork used to get. Something to consider, although he’s been dinged up and missed some games in the past three seasons, he’s never missed a playoff game and has been at his best when the games went into crunch time. Another option in the Patriots favor is that, if they can’t work on a deal right away with Hightower, they can use the Franchise tag on him and keep him for at least another season. That would be costly (around $15 million), but at least they’d keep him around for the 2017 season and allow the two sides to come to a long-term deal. For that reason, I think the chances are better than 70 percent that Hightower returns for at least next season. It would be a best-case scenario, however, to see the two sides hammer out a deal for a player that the Patriots absolutely must re-sign this spring. 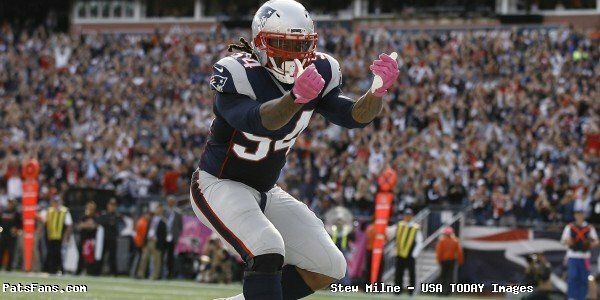 Look for Hightower to be back in Foxboro when training camp hits this July. This entry was posted in 2017 Free Agency, Patriots Commentary and tagged 2016 NFL Season, 2016 Patriots Roster, 2016 Patriots season, 2017 Super Bowl, Bill Belichick, Dont'a Hightower, New England Patriots, NFL, Patriots, Patriots free agents, Patriots linebackers, Tom Brady on February 14, 2017 by Steve Balestrieri. The Patriots finished the 2016-17 season in style with an incredible and improbable come from behind 34-28 win over the Atlanta Falcons. The Patriots scored 31 unanswered points to bring home the Lombardi Trophy for the fifth time in the Brady- Belichick era. Now is the time to take a look at the roster and give our end of season grades by position. In the coming days, we’ll also begin to take a look at where the roster is terms of 2017 and where the team will begin to look where they can add depth during the free agency period. The NFL Combine and the draft are right around the corner. As Bill Belichick said on Monday, they’re five weeks behind the rest of the league in terms of preparation for next season, but here’s a final look at how the 2016 team graded out. What more can be said about Tom Brady? After an MVP-type season where he ended up finishing 2nd behind Matt Ryan, he topped it off with the biggest comeback in Super Bowl history by throwing for 466 yards and leading the Patriots to their fifth championship under his watch. 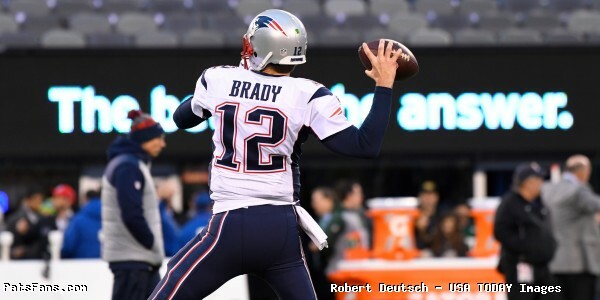 In 15 regular season and playoff games, Brady threw for 4691 yards 35 touchdowns and 5 interceptions. He averaged 379 yards per game in the playoffs and all at the age of 39. And yet still despite his fourth SB MVP trophy, the dweebs and naysayers rush to marginalize his accomplishments in a lame attempt to get spots on Boston sports radio. And they will. Signs of the times. Jimmy Garoppolo’s spot next to Brady on the duck boat in the parade may be our last look at him as a member of the Patriots. With the Patriots rumored to be looking to extend Brady for three more years, the time may be right to trade Jimmy G. while the interest for him is at its peak. If the reported interest includes a first round draft pick, there is no way that the Patriots could turn that down. In the two games, he was the starter (really a game and a half), he played very well, completing 68 percent of his throws with 4 TDs and 0 INTs. Rookie Jacoby Brissett was forced into action when Garoppolo injured his shoulder. He played 2 full games before Brady came back from his suspension and played well considering how few snaps he got as the third QB during training camp. If indeed Jimmy G. is traded this spring, he’ll become the heir apparent to Brady and will have much more thrust on his plate. It is interesting to note that neither Brissett nor Garoppolo threw an interception this season. LeGarrette Blount had a career-best 1161 yards and a league-leading 18 rushing touchdowns on the season. The team tried to limit his workload down the stretch but it seemed he wore down a bit by the playoffs, adding just 109 yards and a touchdown in three playoff games. He did a very good job of providing the team with a big back presence, especially early in the season when Brady was serving his suspension. Dion Lewis missed the first half of the season, recovering from his torn ACL suffered in 2015 but was a valuable piece in both the running and passing game down the stretch and into the playoffs. It is interesting to note, that the Patriots have never lost when he’s on the field. James White ably filled the third-down back role all season and he responded with his best year. He chipped in the running game a bit all season but his value is highest in the passing game as both a receiver and a pass blocker. He set a Super Bowl record with 14 receptions for 110 yards and three touchdowns both rushing and receiving. James Develin really boosted the running game with his presence after missing 2015 with a broken leg. He’s a tremendous blocking fullback who can add the occasional run or catch. Being healthy for 16 games, he was a big factor in the running game being a true complimentary piece this season. UDFA rookie D.J. Foster appeared in three games and got his feet wet. He does possess the shifty ability to make people miss. Julian Edelman had a fantastic 2016 regular season logging 98 catches for 1106 yards and three TDs. He topped that off with a terrific playoff run catching 21 passes for 342 yards (16.3 yards per catch average) and a score. After starting slowly in training camp with a tweak of his injured foot, his status was a bit of a question mark entering the season. He not only answered the bell every week but continued to do the dirty work underneath providing Tom Brady with his most reliable receiver. Combined regular season and playoff totals of 119 catches for 1448 yards with four TDs are up there at the elite level of wide receivers. Not bad for a guy who wouldn’t make another team’s 53-man roster, eh Keyshawn? Chris Hogan was a steal for the Patriots during free agency. The Patriots signed the restricted free agent away from Buffalo and he immediately fit in seamlessly into the offense. Although he was moved around both inside and outside there, he was mainly an outside the numbers guy for the Pats. His numbers were a solid 38 catches for 680 yards (17.9-yard average), with 4 TDs in the regular season. He capped that off with 17 catches for 332 yards (19.5-yard average) and 2 TDs in the postseason. With a combined regular and postseason total of 1012 yards and an 18.4-yard average, Hogan is set up for even more success in 2017. Danny Amendola missed the final 4 regular season games but was on hand for the playoff run and as always provides tough, reliable, and sure hands when the game reaches crunch time. Although he caught no more than 4 passes in any game during the regular season, his catches always seem to be of the biggest. When the Patriots were down in the Super Bowl, Amendola stepped up with his biggest game of the season. He had eight catches for 78 yards and a touchdown. He also added the two-point conversion that tied the game. Malcolm Mitchell had a very solid rookie season in 2016. After shining early in training camp he injured his elbow during the preseason and missed some valuable time. After starting slowly in the regular season, he got better down the stretch and became a trusted member of the offense. He logged 26 of his 32 catches in the second half of the season. In the Super Bowl, he added six catches for 70 yards and is in the great position to make a big 2nd-year jump in production. Michael Floyd was picked up late in the season after being released by Arizona and played sparingly down the stretch but was a healthy scratch for the final two playoff games. He’s a free agent this season and has mentioned that he’d like to come back. 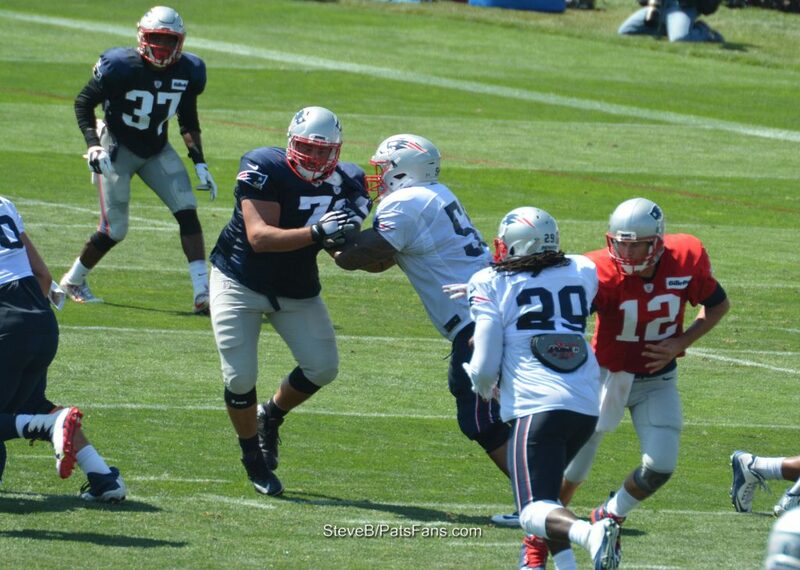 He has the size (6’3, 225) and speed that the Pats would love to keep on the roster but we’ll see how that plays out. Martellus Bennett was a great addition both on and off the field this season. Despite being banged up for most of the season, the physical and tough Bennett answered the bell every week and provided good production in the passing game and outstanding blocking in both the running game and in pass protection. He logged 55 catches for 701 yards and 7 TDs during 2016 and added 11 more catches in the postseason, including five for 62 yards in the Super Bowl. Rob Gronkowski played in eight games but really was himself for less than four. His season was one of injuries piled on top of one another. The Patriots most prolific receiver, he was missed down the stretch and into the playoffs. However, his absence forced them to find other ways to win, and they did. In limited action in 2016, Gronk caught 25 passes for 540 yards (21.6 average) and three TDs. Matt Lengel was plucked off the Cincinnati practice squad and played sparingly. The Patriots offensive line welcomed back Dante Scarnecchia this season and what a difference it made. Of course, the health of the unit and getting Nate Solder and Marcus Cannon all season on the edge was huge. Cannon was easily the biggest and best surprise of the season. No one expected him to perform anywhere near what he did this season. Solder, back from a torn biceps in 2015 was very solid at left tackle. The interior of the line with C David Andrews, and guards Shaq Mason and Joe Thuney was solid. Having the unit together all season cut down on the number of sacks allowed and the running game was much more effective. Thuney needs to get a bit stronger and I expect with the offseason strength and conditioning program he will do just that. The Patriots defensive line was a position of strength in 2016. Alan Branch and Malcolm Brown were fantastic in run support all season. They provided the consistent solid front that stopped opponents at the point of attack and frequently penetrated which greatly aided in bringing the Patriots to the #3 rush defense in the NFL. Vincent Valentine was their relief and played well if sparingly in his rookie season. Trey Flowers has become an impact player both on the edge and as an interior pass rusher in 2016. He was arguably the best Patriots defensive lineman down the stretch and into the playoffs. Lost in the shuffle of the SB comeback was his 2.5 sacks, which greatly increased the Pats chances of winning. Chris Long did the little things all season long and was a great veteran presence along the defensive line. He did a little bit of everything and frequently dropped into the passing lanes which greatly helped the defense. Jabaal Sheard and Rob Ninkovich didn’t execute up to what we projected for them in the preseason. Sheard was the Pats best pass rusher in 2015. But he found himself a healthy scratch at times this season. He had his moments and had a sneaky good performance in the Super Bowl that went under the radar. Ninkovich bounced between the edge and linebacker this season and never quite got untracked after missing the first four games. Dont’a Hightower was the glue that held the unit together and was outstanding in both run support and as a blitzer when tasked to get after the QB. For a man of his size, he moves extremely well. His strip sack of Matt Ryan in the Super Bowl was the turning point. His play led to the team trading Jamie Collins to Cleveland. He’s going to get paid. Elandon Roberts is an undersized if very physical down-hill style player that is at his best in run support. He proved to be a liability in coverage and that will be something the rookie will have to work on this off-season. Kyle Van Noy was a nice pickup from the Lions and he did a little bit of everything at linebacker. He played the run fairly well and was generally good in coverage. He also provided some nice blitzes off the edge on passing downs. Shea McClellin was signed from the Bears and the Patriots used him much like Van Noy and he provided good run support, some coverage and was occasionally effective coming on blitzes. Barkevious Mingo, much to people’s surprise, played very little defense in 2016, contributing mainly on Special Teams. The uber-athletic freak has the speed to rush off the edge, something they may opt to use more of in the future. The Patriots secondary had a pretty, solid season in 2016. Despite being looked upon as a weak spot, they are better than what they’ve been given credit for. Malcolm Butler played solid all season long. He is the guy that should prove to be a mainstay at the left cornerback position for the conceivable future. He was usually matched up with the opponent’s best receiver. He’s a free agent and will get paid. Logan Ryan had a strong second half of the season, where he just got better and better. Ryan was particularly strong in the postseason and he too is a free agent. The Patriots should try to re-sign him if the price is right. Eric Rowe was picked up from Philadelphia and played well for most of 2016. The third corner in the Pats rotation, he’s also the biggest CB on the roster. Justin Coleman, Cyrus Jones, and Jonathan Jones didn’t see the field much on defense this season and are, right now strictly depth players. Devin McCourty had another outstanding season at safety for the Patriots. He’s the QB for the secondary and provides excellent deep help as the centerfielder in the secondary. Pat Chung was solid once again for NE as the in-the-box safety who plays close to the line of scrimmage. Chung was very good in run support and his work against the tight ends and backs on the short routes was solid. Duron Harmon is the third safety in the rotation when they go to their big nickel alignment. He excels in the role and has a great nose for the football. Jordan Richards is strictly depth and Nate Ebner and Brandon King are ST mavens. Stephen Gostkowski had a season that for him was well off from what we’ve come to expect after a decade of near perfection. He missed three extra points in the regular season and then missed two more in the playoffs. His miss in the Super Bowl nearly cost the team as dearly as 2015. But unlike the 2015 AFC Championship Game, the Patriots made the two-point conversion that sent the game into overtime. His 84 percent on FGs was down slightly as well. But his short, mortar-style kickoffs were extremely effective this season, especially so in the Super Bowl, where the Patriots pinned Atlanta back time and again. Ryan Allen had his best season in 2016 punting for the Pats. The 4th year pro was outstanding at pinning opponents inside the 20-yard line and had a career-best net punting average of 41.4 yards per punt. Cyrus Jones was supposed to elevate the Patriots return game this season. The rookie from Alabama had 4 return TDs in his last season with the Crimson Tide and is electric with the ball in his hands. Instead, much of his season was a nightmare. His issues at holding onto the ball began back in minicamp and went right thru the regular season. He fumbled five times on the season. Edelman and Amendola were forced back into returning punts and kicks because of this and that wasn’t in the cards when the team selected Jones. Dion Lewis was electric on kickoffs with a TD and a fumble in the playoffs. The return game was a disappointment in 2016 and needs an upgrade. 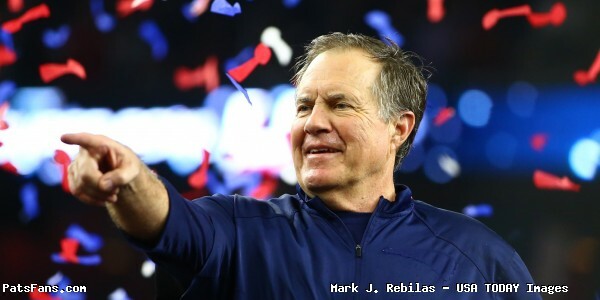 Bill Belichick did another masterful performance leading the team to a 14-2 record, the best in the NFL and followed that up with three excellent game plans for the playoffs which resulted in the Patriots securing their fifth Super Bowl win in their seventh game with Belichick as the head coach. This was despite not having Brady for the first four game of the season due to his suspension and being forced to use three QBs. The Patriots went 3-1 to start the season without Brady and never looked back. Josh McDaniels had an outstanding season as the Patriots offensive coordinator. He was the coach most affected by Brady’s early absence but he was able to play to his player’s strengths, going to a power running attack early in the season with LeGarrette Blount and seamlessly transitioned over from Garoppolo to Brissett to Brady without missing a beat. He utilized his personnel to the best of their abilities and was consistently keeping the opponents off-balance and in a reactive mode, rather than allowing them to dictate the pace and the tempo of games. In the postseason, the Patriots averaged 33.3 points per game and 451 yards of offense per game. Matt Patricia and his defense struggled early in the season, something that was unexpected when the season began. The defense with the additions early in the season was thought to be a Top 10 unit, but they struggled. Patricia tinkered with the personnel groupings, finally finding a unit that played well not only individually but collectively. He had them playing excellent team defense and the team fundamentally was extremely sound. The Patriots defense was one of the best tackling units in the league and ended up as the #1 scoring defense in the NFL. Despite what many pundits will say about the defense, the one thing they did all season was adjusting very effectively during the game. It was evident in the Super Bowl, where the defense stiffened in the second half and overall held the high-scoring Atlanta offense to 21 points. Patricia gets high marks as the defense performed greater than the sum of their parts. Special Team’s coach Joe Judge had an up and down year. There were some struggles especially with ball security in the return game, and with the kicking game but his coverage units were very solid all season long. 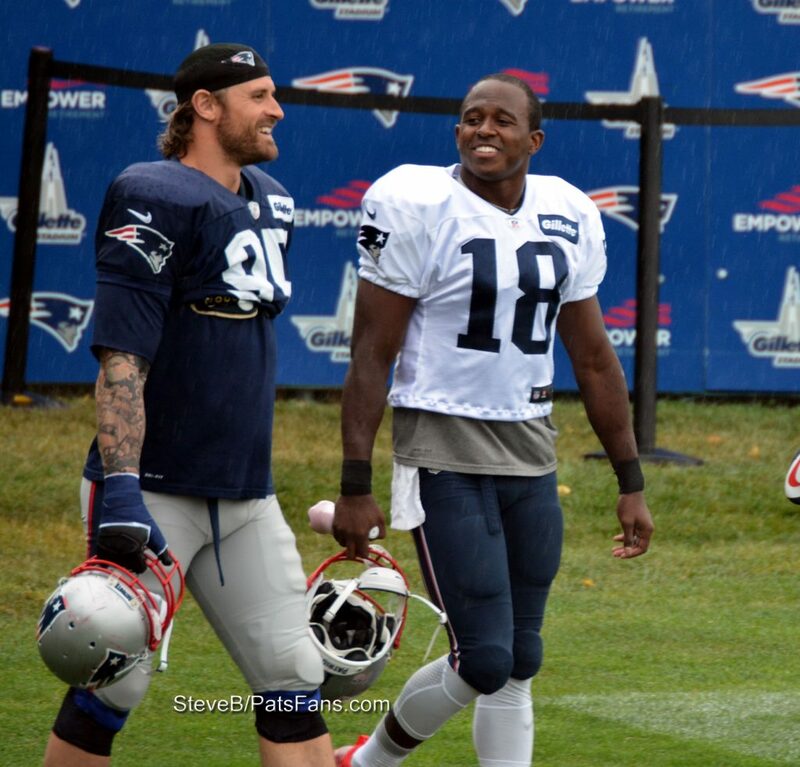 The Patriots have a number of standout players on the STs that totally buy into his approach including Matthew Slater, Mingo, Geneo Grissom, Ebner, and King. Overall Judge gets solid marks for the season, despite the struggles at times. Expect the team to look to increase their level of play next season. This entry was posted in NFL Commentary, Patriots Commentary and tagged 2016 NFL Season, 2016 Patriots Roster, 2016 Patriots season, 2017 Super Bowl, 53 Man Roster Projection, Bill Belichick, Chris Hogan, Dion Lewis, Dont'a Hightower, Jabaal Sheard, Jimmy Garoppolo, Julian Edelman, LaGarrette Blount, Malcolm Butler, Martellus Bennett, New England Patriots, Patriots, Patriots edge rushers, Rob Gronkowski, Rob Ninkovich, Tom Brady, Trey Flowers on February 8, 2017 by Steve Balestrieri. This is an interview with John Rego, who is a Broncos fan living in the Boston area. He was on the show to give his Broncos fan view of the upcoming game. This entry was posted in Patriots Podcast and tagged 2016 NFL Season, 2016 Patriots Roster, 2016 Patriots season, Bill Belichick, Denver Broncos, Dion Lewis, New England Patriots, Tom Brady, Trevor Siemian, Von Miller on December 17, 2016 by Russ Goldman. Podcast: Can The Patriots Move On From The Rob Gronkowski Injury? In this episode we shared our thoughts on the Rob Gronkowski injury for the Pats and later on looked forward to the Ravens game. This entry was posted in Patriots Podcast and tagged 2016 Patriots Roster, 2016 Patriots season, Baltimore Ravens, Bill Belichick, Dion Lewis, Jabaal Sheard, Julian Edelman, Martellus Bennett, New England Patriots, Rob Gronkowski, Tom Brady on December 8, 2016 by Russ Goldman. Patriots tight end Rob Gronkowski will reportedly undergo back surgery for a herniated disk and will be out indefinitely. Some reports have the tight end missing up to eight weeks. The Buffalo News’ Vic Carucci was the first to report that Gronkowski supposedly suffered the ruptured disk against the Seattle Seahawks. Gronkowski then missed the game against the San Francisco 49ers but returned albeit briefly against the New York Jets. 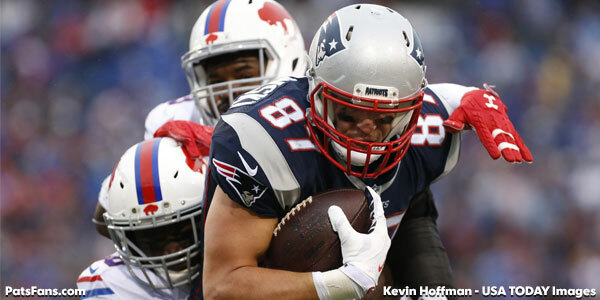 Some have questioned why if he had a herniated disk did Gronkowski play last week. Without having access to the big man’s medical file, some disk herniation can be a minor issue with non-surgical treatment helping on getting the disks back in place. Perhaps he re-aggravated it worse early in the Jets game and the Patriots doctors decided it was time to have the surgery. If the 8-week time window holds true, the earliest he could return would be if the Patriots made the Super Bowl. What this means for the Patriots offense: No way around this one…this is a big loss for the Patriots offense. Gronkowski is not only the biggest weapon in the Patriots offense, he’s the best tight end in the NFL. This will change the Patriots offense, but at least the coaches have time to implement their changes before the playoffs start. However, unlike previous seasons where Gronkowski was either missing or limited in the playoffs in 2011, 2012 and 2013, the team isn’t caught as short this time. This was exactly the scenario that they brought Martellus Bennett in for. Bennett is an excellent weapon in his own right, but right now he’s banged up himself with a bad ankle. But with a combination of either he and James Develin, the team won’t be bare in the cupboard. The silver lining here is that Malcolm Mitchell is picking a great time to get hot. 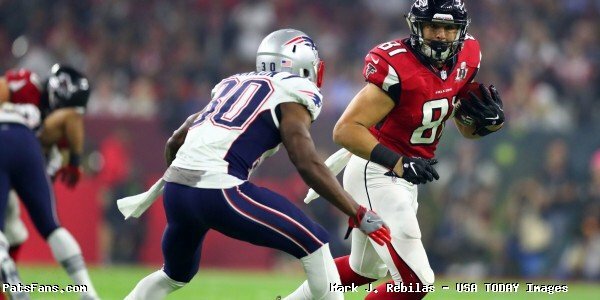 The rookie WR from Georgia has been really turning it on in recent weeks and his emergence in the passing offense means that the team can go with more three and four wide receiver sets using he, Julian Edelman, Chris Hogan and Danny Amendola. The return of Dion Lewis coupled with James White out of the backfield means that while the team will definitely miss Gronk, they have plenty of other weapons for Tom Brady to use. Gronkowski’s situation will bear monitoring as the team will have to carry him on the active roster, which takes away a roster spot. If they were to put him on IR, he’d have to be out the entire 8 weeks and it means that they can only bring back one player. Right now QB Jacoby Brissett has begun practicing again and the Patriots have a 23-day window to either re-activate him or place him on season-ending IR. This entry was posted in Patriots Commentary, Patriots Injuries and tagged 2016 NFL Season, 2016 Patriots Roster, 2016 Patriots season, Back surgery, Bill Belichick, Chris Hogan, Danny Amendola, Julian Edelman, LaGarrette Blount, Malcolm Mitchell, Martellus Bennett, New England Patriots, NFL, Patriots, Patriots tight ends, Rob Gronkowski, Tom Brady on December 1, 2016 by Steve Balestrieri. Podcast: What Is A Quality Win For The Patriots? In this episode we discussed the latest victory for the Patriots against the Jets and preview the next game against the Rams. We also talked about the re-signing of Marcus Cannon by the Patriots. We also asked the question, what is a quality win for the Patriots? This entry was posted in Patriots Podcast and tagged 2016 Patriots Roster, Bill Belichick, Chris Hogan, Danny Amendola, Dion Lewis, Dont'a Hightower, Jabaal Sheard, Julian Edelman, LaGarrette Blount, Los Angeles Rams, Malcolm Butler, New England Patriots, New York Jets, Rob Gronkowski, Tom Brady on November 30, 2016 by Russ Goldman.